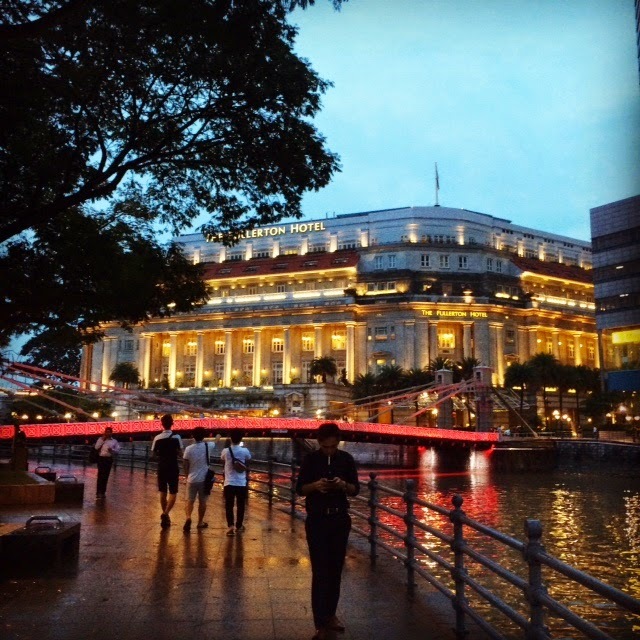 My 2015 began with a week in Singapore. I’m still sorting out the photos I took there, but the pictures I shared on my Instagram kind of sum up my trip. So I thought I’d start by sharing some of them here – all taken from my phone. 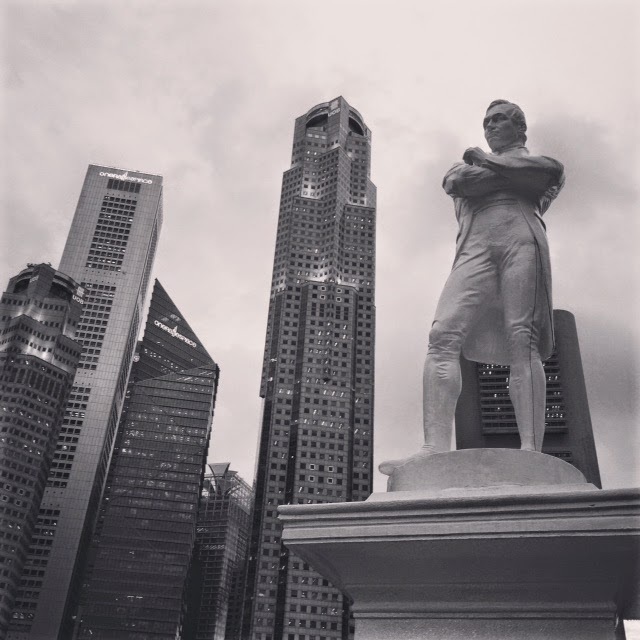 This is Sir Stamford Raffles, the founder of modern Singapore. And behind him, the city he created. This is at the Raffles Landing Site by the Singapore river, the place where he arrived when he first came to Singapore. This is the Singapore river, with the Cavenagh bridge running across it. 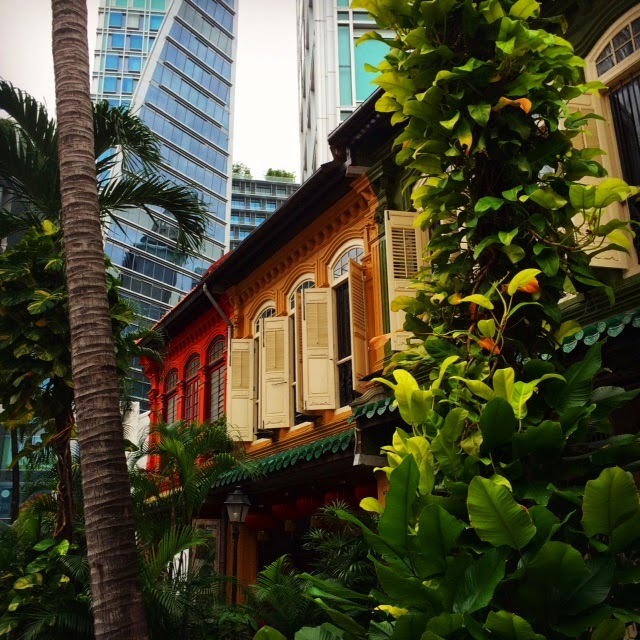 That beauty in the background is the historic Fullerton Hotel. 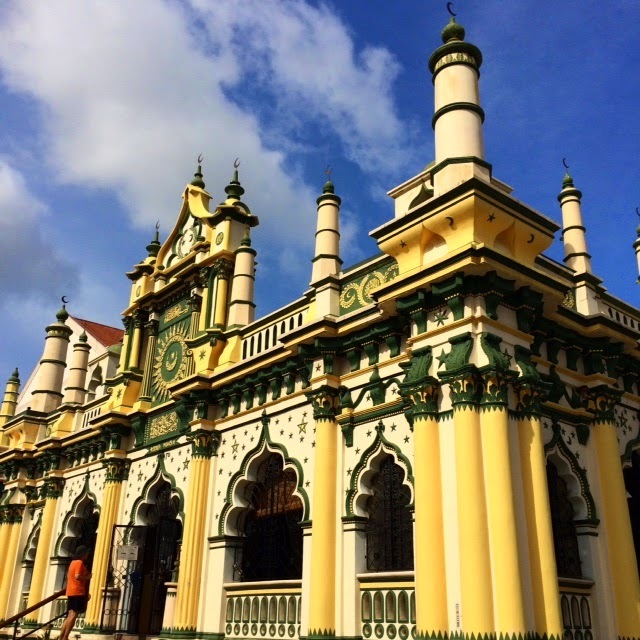 It used to be Singapore’s General Post Office! 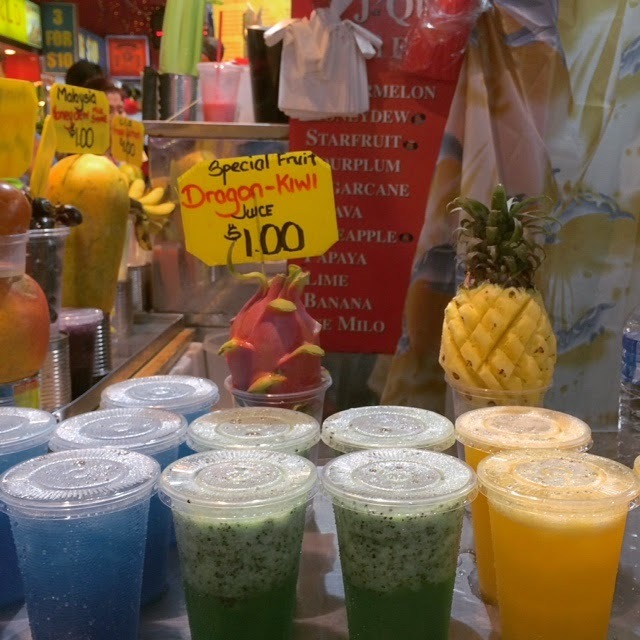 A bunch of colorful tropical fruit juices in a market. I was outdoors all the time and walking a lot, so I was always ready for something sweet and hydrating. Check out this Honey Dew Sago. 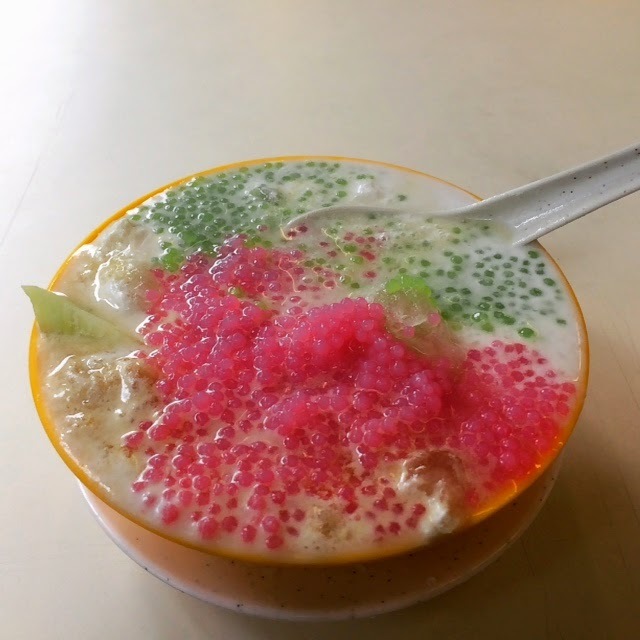 It has slices of honeydew melon with sweet cold coconut milk and colorful sabu dana on top. You can get the same thing with other tropical fruits too. It’s pretty filling, so I had it for lunch one day. I *think* this is vegan and it’s very very yummy. 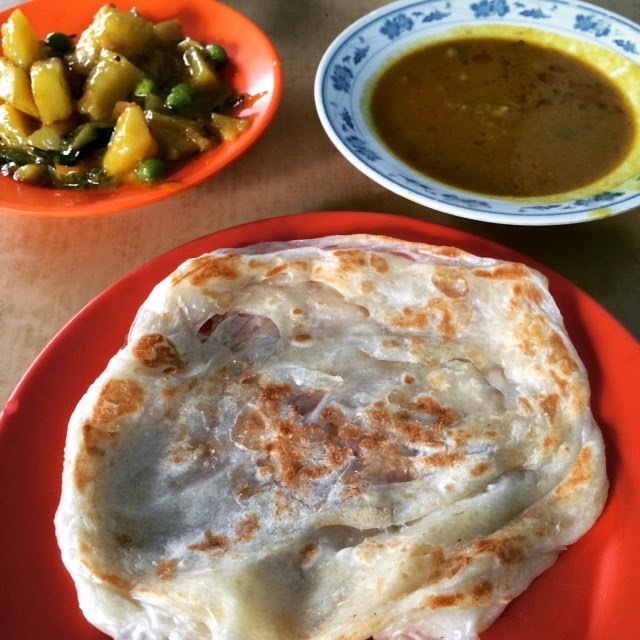 Roti Prata – a Singaporean Indian dish. Sort of like the Kerala parathas we get here in India. SO DELICIOUS! 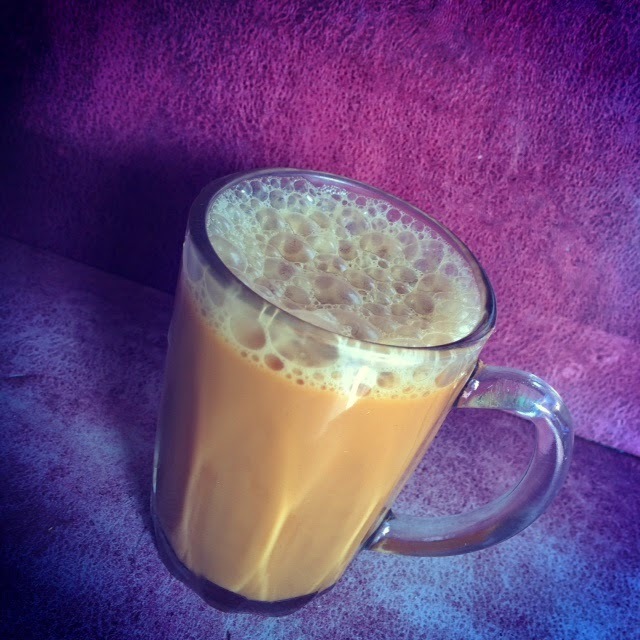 Ice Blended Milk Tea. After the first sip, I thought EWW. After the second sip I was like HMMMM. And after the third, YUM! This was at a cute little place in Chinatown called Nanyang Old Coffee. 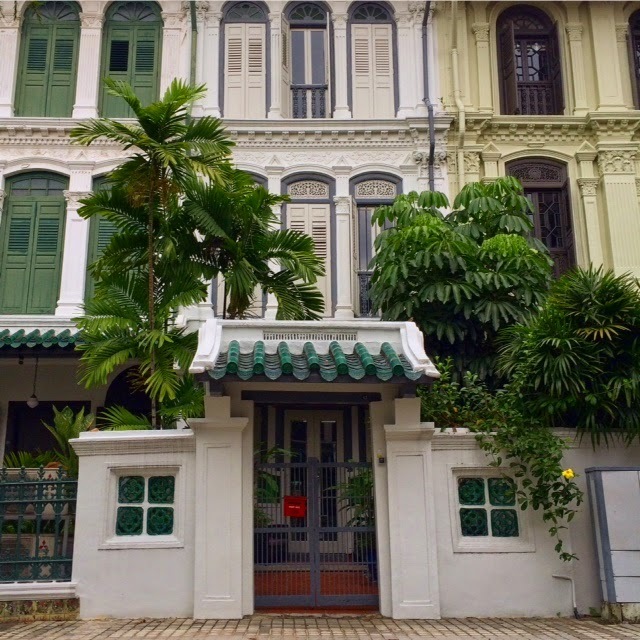 Beautiful restored houses on Emerald Hill Road. 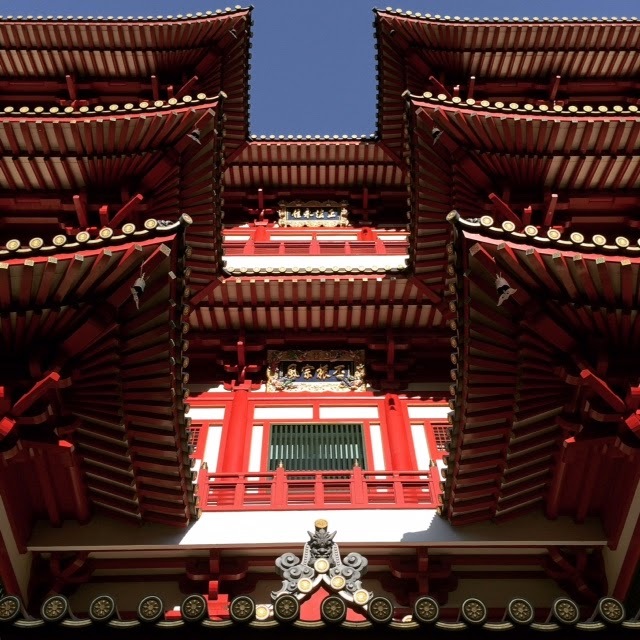 If you’ve been to Singapore, you’ve probably shopped at Orchard Road. 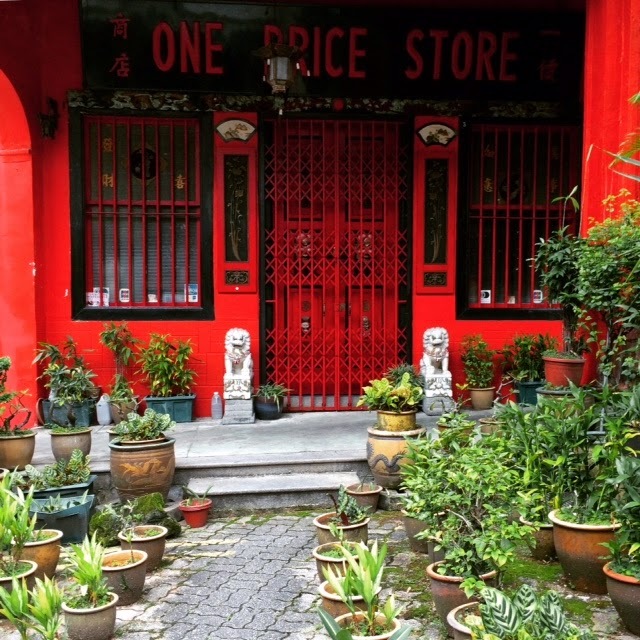 This lane is just off Orchard Road – and it’s another world altogether. 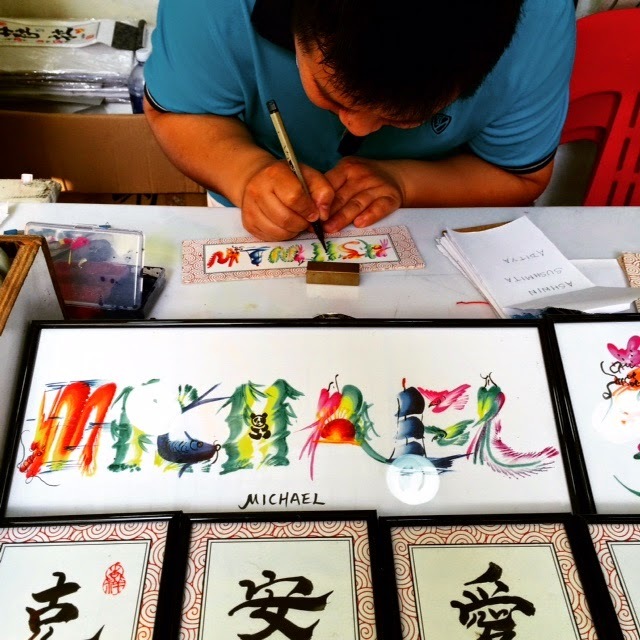 Chinatown has many calligraphers who’ll paint your name, dry it and frame it for you in just 5 minutes. It’s fun! The Singapore Flyer is SO. MUCH. FUN. 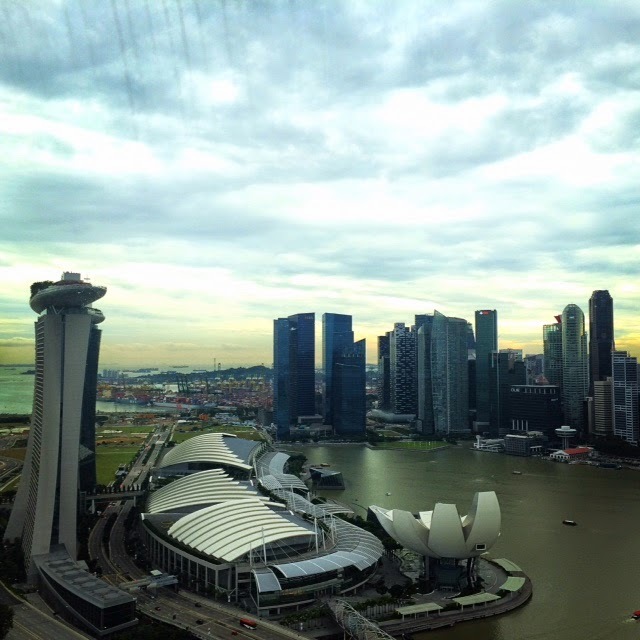 Check out the famous Marina Bay Sands hotel on the left, seen from the top of the flyer. 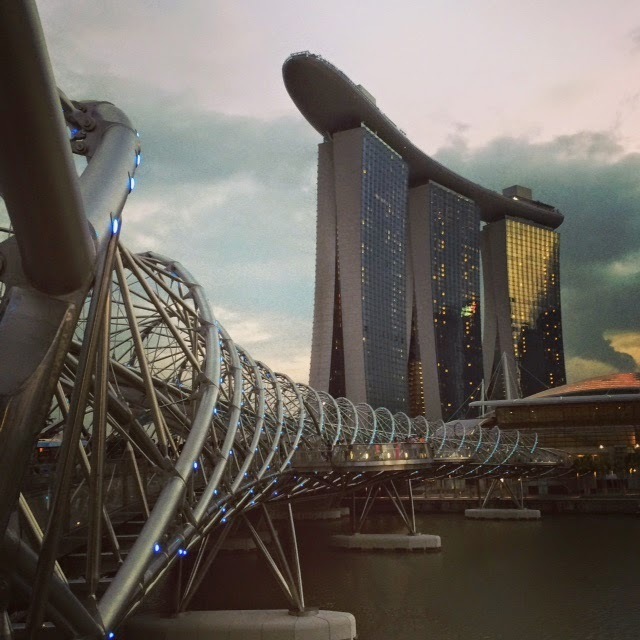 This is the Helix Bridge leading to Marina Bay Sands.